Knock on Wood take the center stage at the Library’s Live on the Lawn Concert Series on Wednesday, August 1st at 7:00 p.m. 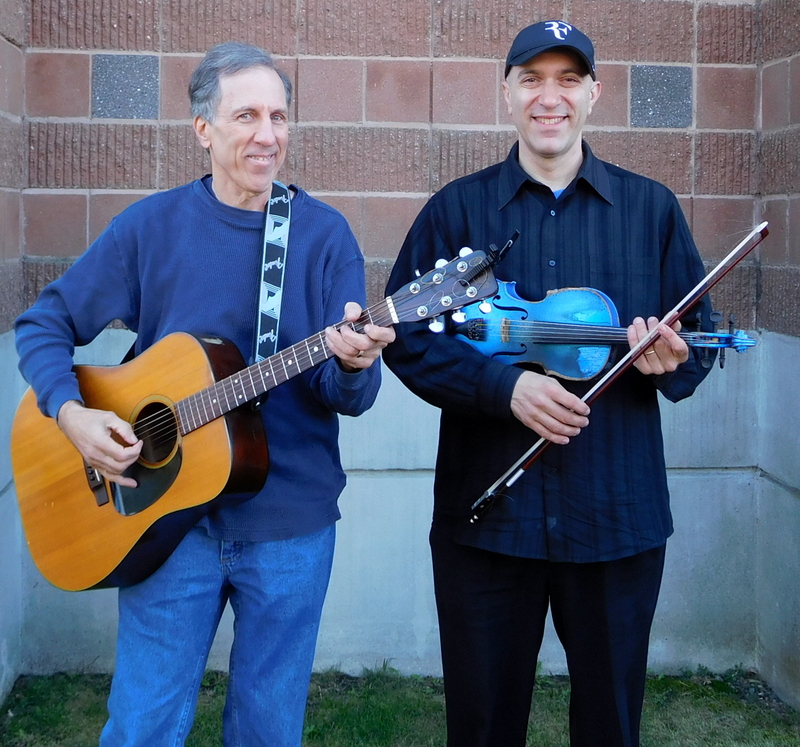 Knock on Wood is a high-energy acoustic folk-rock duo, featuring singer-songwriter Howie Newman and fiddler/mandolinist Joe Kessler. The duo performs classic rock covers along with funny original music. Their repertoire spans everything from the Beatles to Steely Dan to the Dropkick Murphys. It’s not your typical guitar-fiddle folk act. Knock on Wood puts on a lively, fun show with great musicianship and a little bit of humor here and there. Howie Newman has opened for Tom Paxton, Vance Gilbert, Brewer & Shipley, Pure Prairie League, Bill Staines, Lui Collins, Don White, Modern Man and many others. His songs have received national airplay on the Dr. Demento Show, National Public Radio and Midnight Special as well as dozens of other North American radio outlets. Joe Kessler, who plays fiddle and mandolin, has an energetic improvisational style that includes folk, rock, jazz and bluegrass. Joe has toured extensively throughout the United States and Canada as well as eight other countries. He has performed with Morphine, Jimmy Page and Robert Plant, the Boogaloo Swamis and many others. The Summer Series continues on August 15 at 7:45 p.m. with a fun, family friendly outdoor movie under the stars.